A good two-handed boogie is a guaranteed foot-tapper and an indispensable item in your repertoire of popular music keyboard styles. If you’ve worked through the Moving Pair series this far as Module Seven, you’re almost there. This module offers detailed practice drills building up to this module riff. We will be working initially with the even-beats boogie left hand. The anticipated little finger is optional, but you have to be able to play the left hand confidently right through this chord sequence. 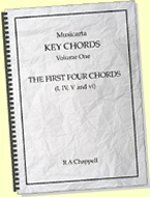 Your first step is to make sure you can add, say, just one note in the right hand on every other beat without the left hand stopping or faltering. The root (the name-note of the chord in the chord sequence) is always a safe bet. Make it an octave if you can, but one single note is fine. Use the most basic version of the left hand to start with. 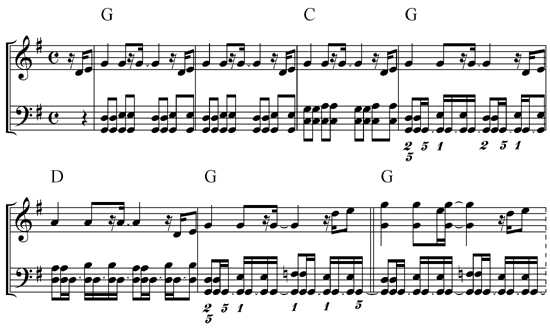 ‘Back to basics’ is the golden rule when it comes to building up two-handed syncopation. Practice in just the G position until you get the hand patterning right. Make sure you can hear where the right hand patterns change – watch the MIDI clip on MidiPiano, where you can slow it down for practicing as well. Add more right hand notes as you get comfortable. Make some of them off-the-beat if you can. Don’t be surprised if it all ‘falls apart’ the minute you try – this is quite normal! Here is the build-up music and audio. 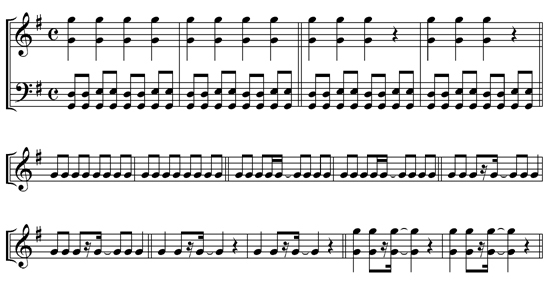 You can play a whole twelve-bar chorus with just this material. Here’s an example. You can easily lighten things up by reintroducing some left hand little finger anticipation. 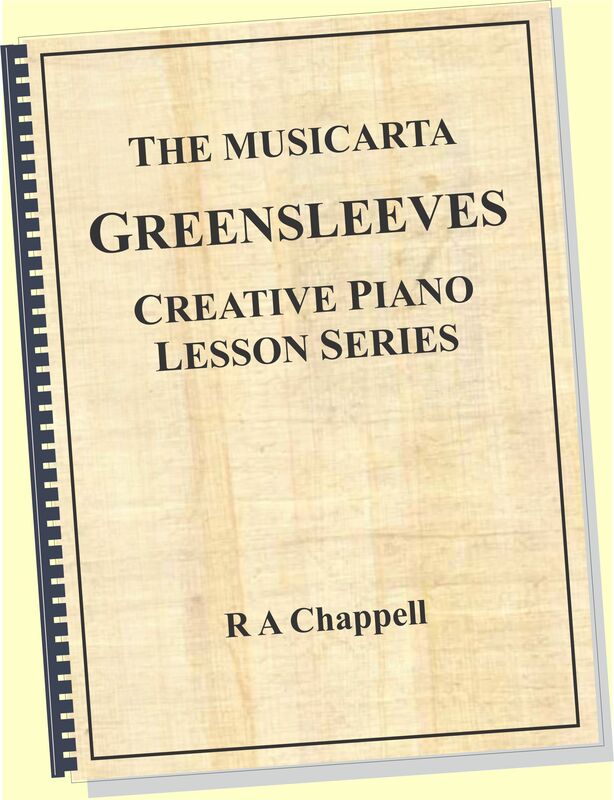 You can move on to playing a ‘three positions’ left hand, with or without the anticipation. 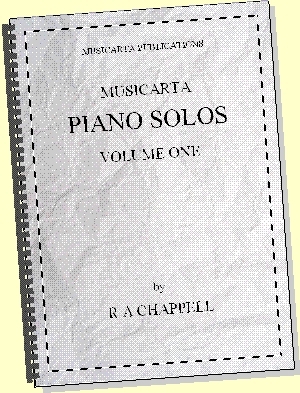 Both these developments are shown in the following MS, but unless you’re a good reader, working by ear and from the slowed-down MidiPiano performance will probably be more effective (see screen-shot and section, below). Develop the right hand with a little ‘introductory’ figure. 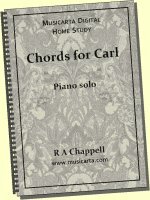 Run up to the main right hand beat using notes D and E. The performance file demonstrates good ‘build-up practice’ – it goes back to two left hand positions only, no anticipation, single right hand notes (no octaves), and builds up, chorus by chorus, from there. When things get two-handed and complicated like this, it’s fine to just try and try and see if you can break through and do it. But if you find that you’re not succeeding and getting discouraged, you need to slow right down and pick the music apart to see exactly what you’re supposed to be doing, note by note. Here’s the MidiPiano ‘Piano Roll’ view of the part of the module riff with both the right hand run-up and left hand anticipation. You might not be comfortable with this kind of ‘micro-analysis’, but the diagram is really only an indication of how closely you should be listening. A few minutes spent listening-and-thinking like this can save you hours of frustration, and even prevent you giving up altogether and never getting it. Here's a video of one Module Nine riff pattern slowed down and looped in MidiPiano. You see both the keyboard and the Piano Roll animation. If you're determined to 'get it', you need to be prepared to think and practice like this! 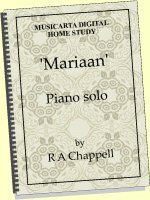 This shows again how useful MidiPiano is as a study aid. Organising yourself to be able to use MidiPiano easily is a great investment of your time. One great way of benchmarking your progress is to try playing along with the greats. 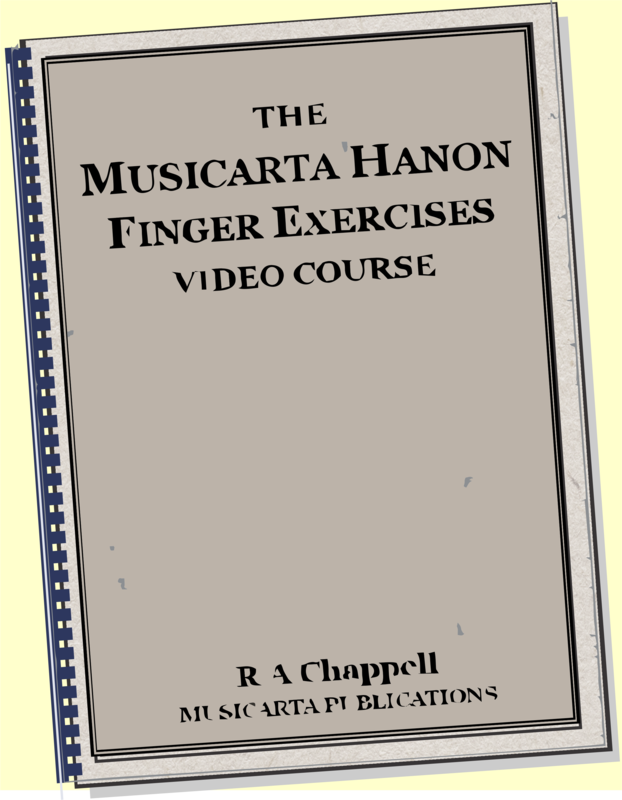 Once you can play the riffs in this module, dozens of early rock’n’roll songs are well within your reach, especially if you have been practising transposing your 12-bar riffs into other keys, as suggested in Module Eight. Early rock’n’roll music is easily to find. Get a rock’n’roll compilation or ‘Greatest Hits’ CD and set yourself up so you can play along – so that you can turn the music on and off, and perhaps repeat sections, from your piano stool. 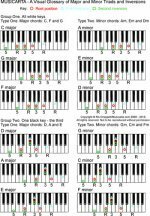 Learn some of the basic Moving Pair riffs in that key (using MidiPiano again), and see if you can match the rhythm of the CD track.